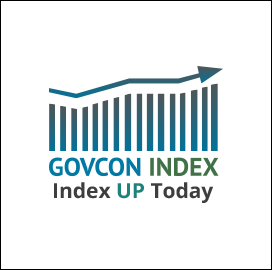 The Executive Mosaic GovCon Index (GCI) closed up 0.189 percent to 96.709 reaching another 30 day high with advancers and decliners evenly split on the day. The major indices closed mixed with minor movement and lower than average trading volumes. The S&P500 closed up 0.09 percent, while the DJIA feel 0.03 percent, and the NASDAQ Composite closed up 0.38 percent. Technology stocks boosted market gains. WTI crude oil closed positive for the day. WTI on the NY Mercantile Exchange trended upward settling at $44.45 per barrel up 0.50 per cent as the market evaluates the possibility of Libya and Nigeria following OPEC’s lead and capping production.